Solution: You can use CQ timing info to get that data. 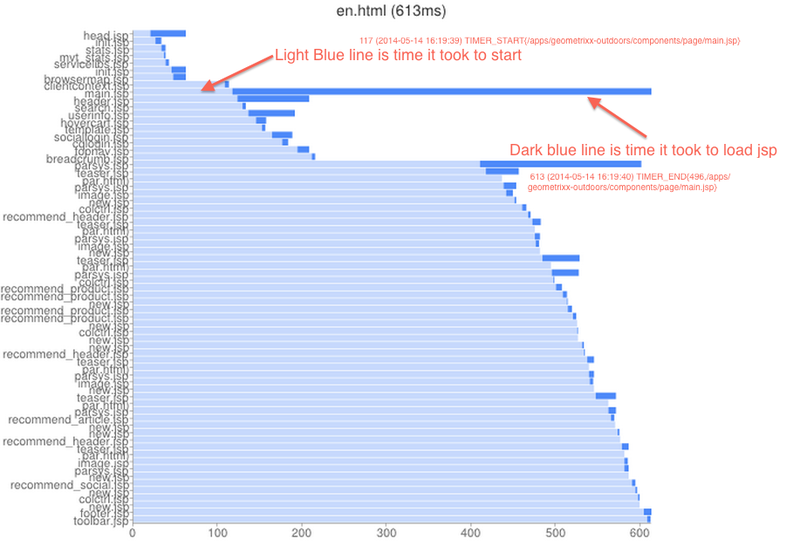 timing load uses resource dumper https://sling.apache.org/apidocs/sling5/org/apache/sling/api/request/RequestProgressTracker.html to track load time of each jsp within page. Notes: Please also read http://dev.day.com/docs/en/cq/current/deploying/monitoring_and_maintaining.html to see how you can analyze request log to find page load time on server side. This is also very useful to find any thread contention issues wither using thread dump or session dump from felix console. 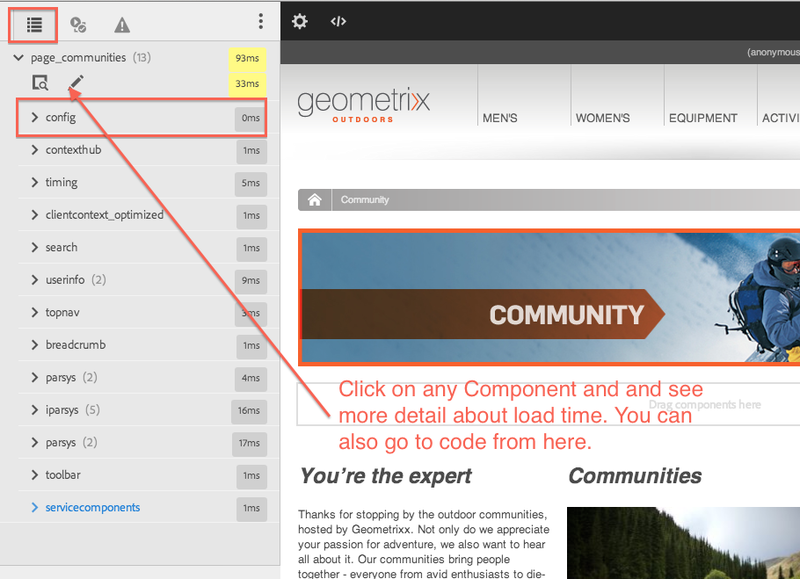 On client side there are different products you can use (I don't have preference) (AppDynamic, New Relic, Google Page Speed, Google Analytics etc) to find client side load time. Great writeup. We will promote this. I am unable to see timing URL. Basically I am having confusion. Above it is written that 'Make sure that timing.jsp is included in your global template using'.
'' right next to ''.